Why did I choose to go to Ole Miss? It's actually a funny story. I originally never even applied to Ole Miss. A friend of mine was visiting and asked me to go with her. I already had my heart set on the University of Alabama and was ready to find a roommate. I stepped one foot of the Ole Miss campus and it just felt right. I could see myself walking around the beautiful campus and I immediately felt at home. Looking back, I can't believe I went there basically knowing no one, but I'm so glad I did. I made the sweetest memories and some lifelong friends during my four years of living there. Some of the things I love about Oxford are the slower pace of life, the amazing culinary scene and its proximity to Nashville. It makes for the perfect weekend getaway from the hustle and bustle of the bigger city. Here is a link to my full Oxford guide that I wrote last year with all of my top suggestions. Not much has changed aside from a few restaurant openings. 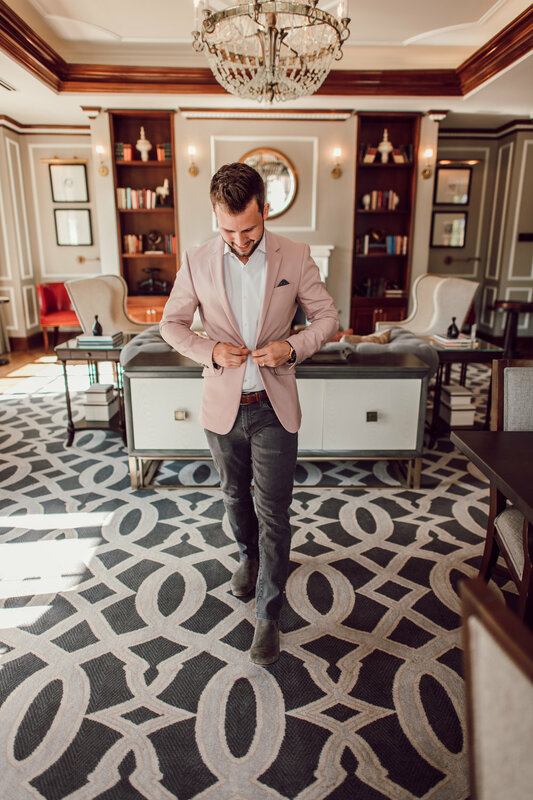 Below I'm spilling all my favorite spots for a relaxing weekend getaway in of my favorite towns. I hope you enjoy it! 12 PM - You've just arrived in Oxford and you might be a little early to check-in to your hotel. Don't fret! This gives you the perfect opportunity to get your bearings and get a glimpse of what this town is all about. Cameron and I always do a little drive through the square and campus and reminisce. You could also stop by Cups for an afternoon pick-me-up. 3 PM - Check-in to your room for the weekend. We recently got the chance to stay at Chancellors House and loved it! It has a luxe, upscale feel that you can't find anywhere else in Oxford. 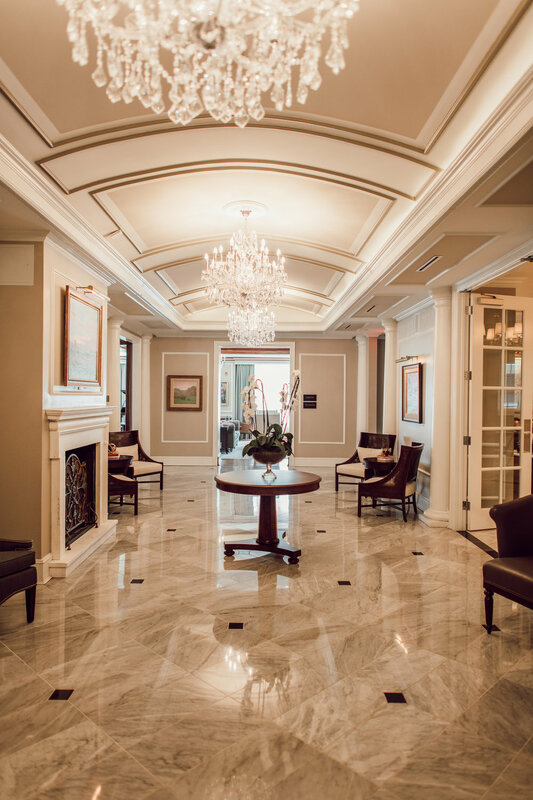 Just steps from historic Oxford Square on the corner of University and Lamar, Chancellor’s House invites guests and locals alike to step back and enjoy their stay. A few of my favorite features of our room were the in-room Keurig so you could immediately make your coffee when you wake up, the luxuriously comfortable bed and of course the clawfoot bathtub. 7 PM - Since you just arrived in town, I'd recommend grabbing a quick dinner on the Square at Ajax (traditional southern meat and 3) or Boure (creole-inspired dining). Orrr you can take note from me and Cameron and order Thai takeout from Rice & Spice if you're feeling extra lazy. Their pad thai and green curry are surprisingly amazing! 9 am- It's Saturday morning and you are (hopefully) well-rested and ready to take in a full day of all that Oxford has to offer. Grab a quick coffee and breakfast at Bottletree Bakery where the pastries are baked fresh from scratch daily. 11 am - It's time to leisurely make your way around the square. Stop by Square Books and take a moment to graze through all of its literary treasures. Shop the latest trends at stores like Cicada, Frock, Miss Behavin and Lulu's. 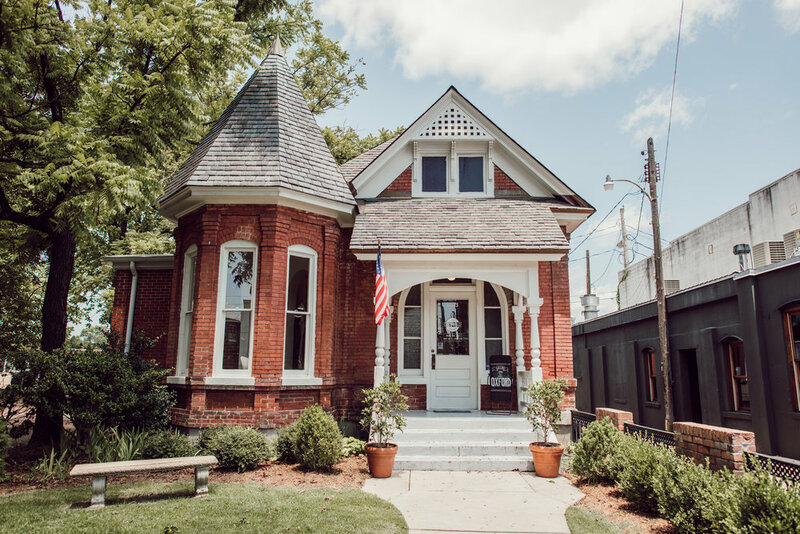 You're sure to stumble upon little hidden gems like Amelia Presents while taking in all of the historic character around you. 1:30 pm - Enjoy lunch at the delicious Oxford Canteen. When I was in school just a few years ago, Oxford Canteen was a unique little walk-up window on the side of the Lyric. Now they have their own quaint brick and mortar location inside of an old service station just off of the square. The Aqua Fresca and the Turkey Grinder sandwich are menu musts. The sandwich features smoked almond-kale pesto and bacon jam. 5 pm - Grab a happy hour drink at Saint Leo. Are you picking up on a theme here? Pretty much everything in Oxford revolves around food and drink and I'm here for it. Saint Leo has excellent cocktails and wood-fired pizzas. Plus it's conveniently located right on the square. I also always love grabbing drinks on City Grocery's balcony. 7 pm - You have two routes for dinner here. If you're visiting with your significant other, I highly recommend Ravine. Located 3 miles south of the square, Ravine offers a more intimate and romantic dinner setting. Cameron is a huge fan of their duck breast and I typically try the nightly special. On our last trip, the featured dish was homepade pasta with pesto and it was to die for! If you're there with friends or family, I'd maybe suggest City Grocery or Snackbar which are both tried-and-true Oxford staples. 9 pm - You didn't think I'd let you go all weekend without a visit to Oxford's infamous bars, did you? A few of my personal favorites are The Library and Round Table. Don't worry - it won't be toooo late of a night because bars actually close at 1 am. If you're feeling extra crazy, you can partake in the customary tradition of taking a shot of whiskey on famed writer William Faulkner's grave. 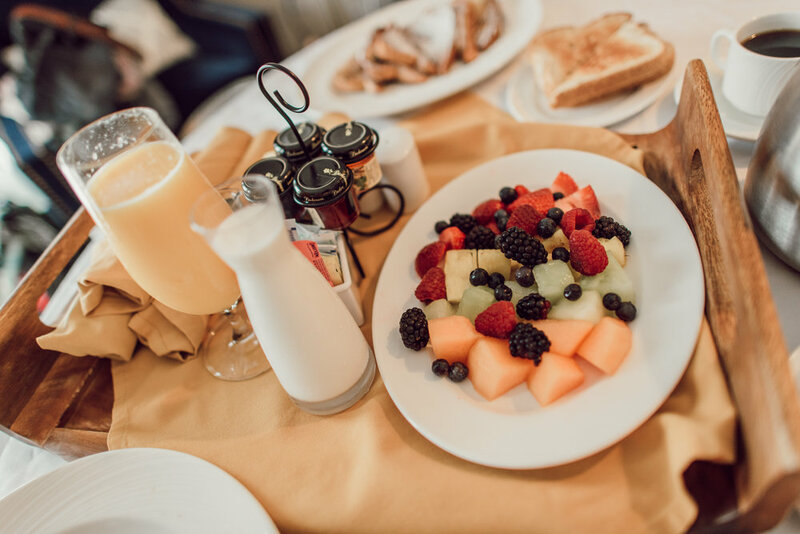 10 am - You absolutely can't leave Oxford without a trip to Big Bad Breakfast, and after a night on the square it might be just what you need to get your day going. Also known as BBB, this is not your average breakfast diner. The menu, curated by James Beard award-winning chef John Currence, is full of fresh biscuits and mouth-water dishes. The Big Bad Breakfast Plate is my go-to order and their fresh-squeezed orange juice is my favorite. 12 pm - If time allows, you must go for a walk around the beautiful Ole Miss campus. 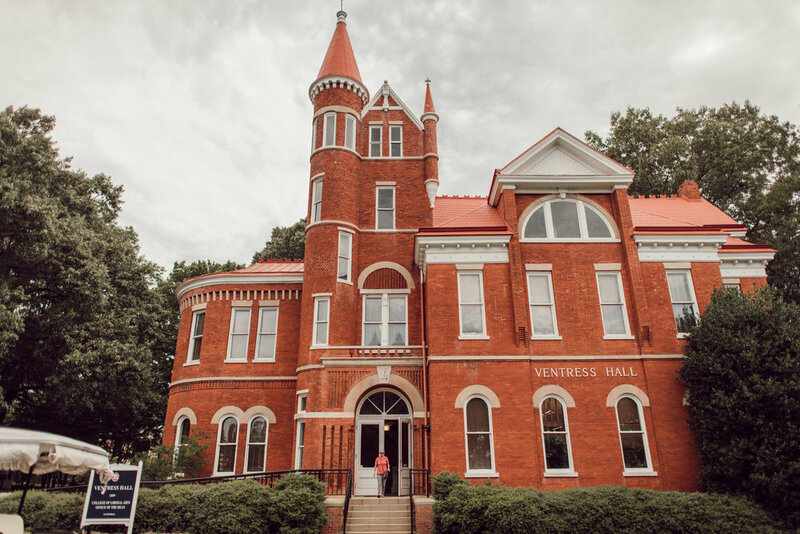 My favorite course in Journalism school was called Press in the South and we learned how Ole Miss played a pivotal role in the Civil Rights Movement. I was amazed at how much history can be uncovered just by taking a stroll through campus. A few examples include the bullet holes in the Lyceum and the soldier's signatures in the Ventress Hall staircase. Also be sure to take a walk down sorority row and check out the impressive line-up of gorgeous houses. 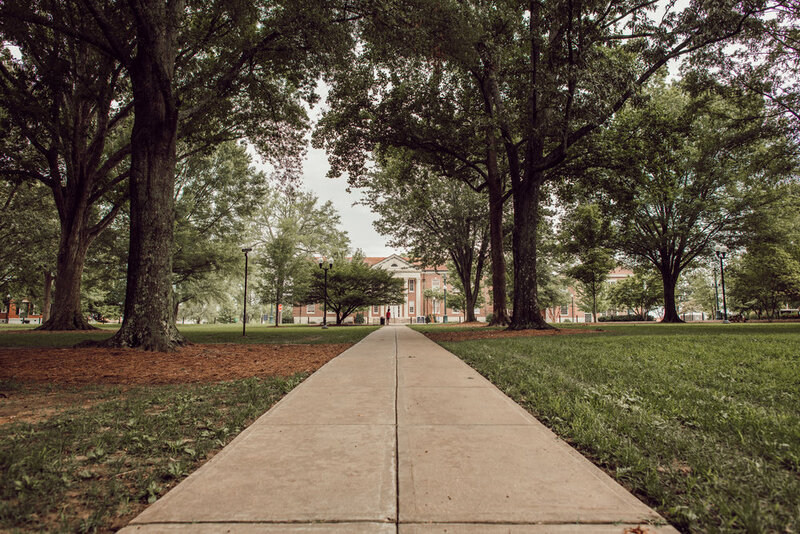 Overall, it's just a beautiful campus and there's nothing a little stroll through the Grove can't fix. Have any of you ever been to Oxford? What are some of your favorite things to do? Thanks so much for reading and stay tuned for a MAUI blog post soon!